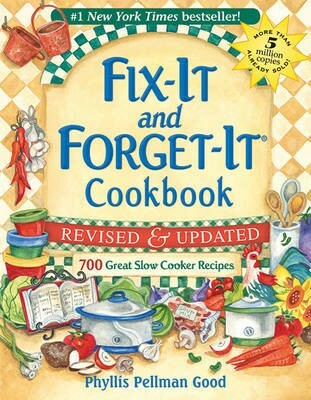 Brand New: “Prep Time,” “Cooking Time,” and “Ideal Slow-Cooker Size” are included for each recipe. Brand New: A second color—a rich purple—for recipe titles, contributors’ names and addresses, the words “Tip” and “Variation,” and the numbered instruction steps. Brand New: 2 pages of review excerpts to position the original book’s success, immediately following the tip-in page of color. Revised: Good’s personal comments and voice throughout the recipes.